There will be a threat for strong to severe storms across the region late Wednesday afternoon and evening. 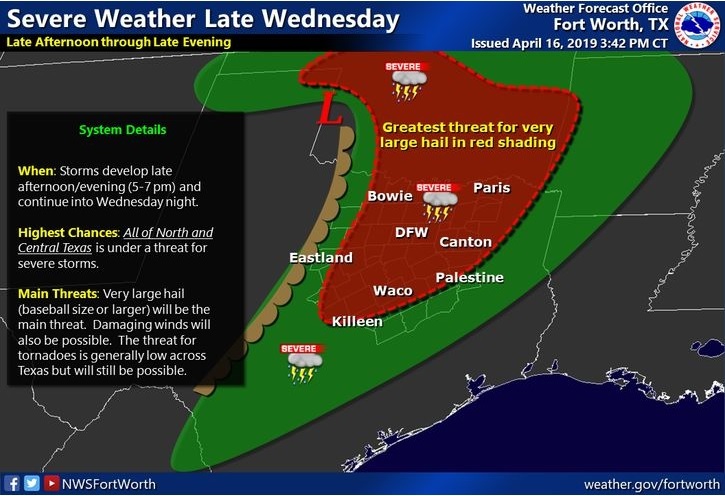 The most significant risk for severe thunderstorms will be near and east of the US Highway 281 corridor. The primary hazards will be large hail, baseball size or larger, damaging straight-line winds and a few tornadoes. Continue to check back for updates to the forecast.